My friend, RunnerSusan, brought me sweet corn all the way from Indiana and that got me hankering for Yankee summer food. Brats on the grill. Roast corn. 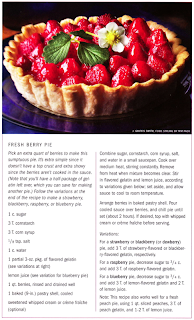 Strawberry pie. You know, up north, where summer is this quiet, balmy time that you can linger outside all day under a tree and hold a grass blade between your thumbs and call to the birds — not spend a month hiding in dark room with the air conditioning running while Ercot pumps so much juice through the grid that it sparks down the line and sets whole counties on fire. 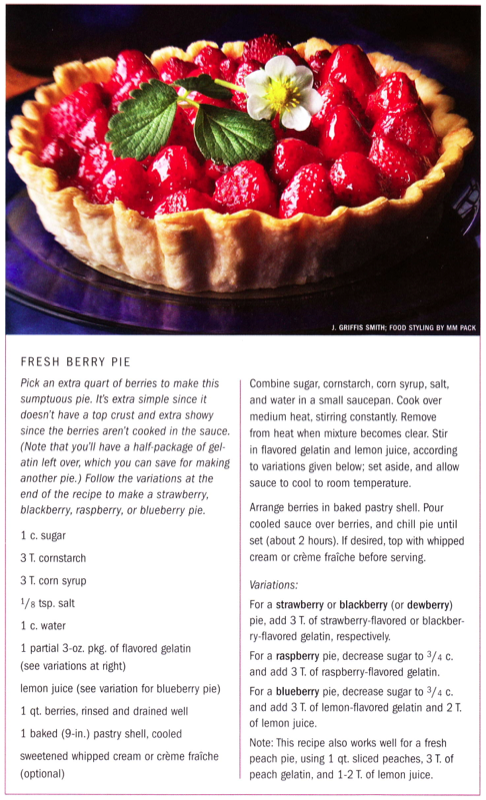 Here’s a recipe that accompanied a story I wrote about berry picking for Texas Highways magazine that ran May 2007. The editors asked for it, and despite my admonitions that while I liked food, and cooked food, and grew food, I was not a food writer. It’ll become an heirloom when my kids make it.